Our selection of healthcare uniforms are available to be personalised with your businesses logo. We offer a selection online but also a huge range in-store so get in touch with us today to see how we can help your business with its healthcare uniform. We provide healthcare uniforms for a number of clients in Northampton & across Northamptonshire. With years of experience our team can help you with your needs simply call us on 0800 980 4660 or email us on info@rock-itpromotions.co.uk to discover more of our range and how we help businesses with their healthcare uniform in and around Northampton & Northamptonshire. 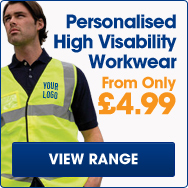 Rock-it Promotions provides our customers the best prices on personalised staff uniforms in Northamptonshire. We have a commitment to providing the most affordable personalised clothing. Our huge selection of clothing ensures that we can offer something for every budget and every use - from our low cost value range to higher quality items we provide the best value personalised staff uniforms & clothing possible. We make branding your businesses clothing cost effective. 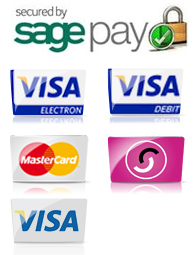 We understand the importance of providing our customers extreme value. We make ordering your healthcare uniforms or any other personalised staff uniforms affordable for your business. Call our office on 0800 980 4660 or email info@rock-itpromotions.co.uk to see how we can help you with your healthcare uniforms today.